Dr. Kathy Memel is a licensed Marriage and Family Therapist and a divorce, custody, and family mediator. In the fourth and final segment of this live recording from a recent Second Saturday Workshop, Dr. Memel discusses how children manage the complicated web of emotions they feel during a divorce, how parents can help them better manage their feelings, and what happens if they don’t. 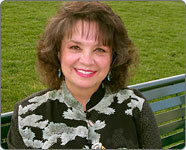 For more information about Dr. Kathy Memel, visit her website at www.KathyMemel.com. Missed Parts 1, 2, or 3? Click HERE for Part 1, click HERE for Part 2, click HERE for Part 3.